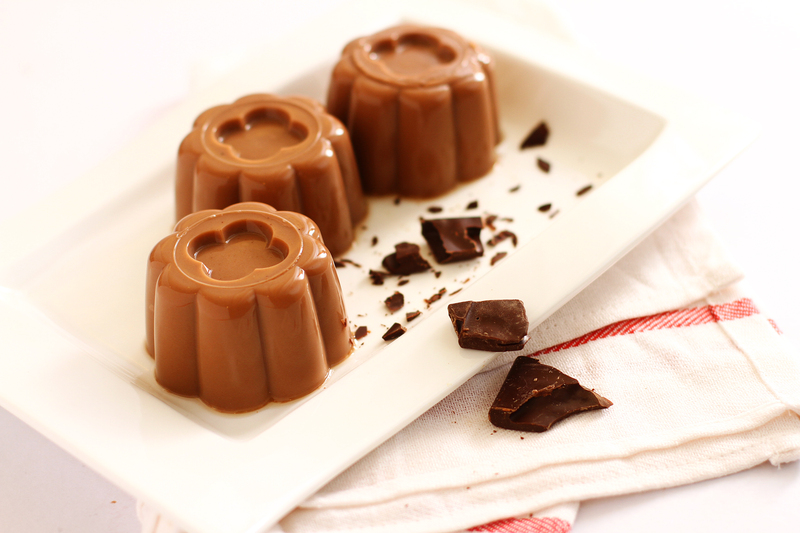 This simple Chocolate Jelly recipe yields a quick, cute, and deliciously milky jelly that you can surprise your mum with on Mother’s Day morning. Wash agar-agar jelly by running it under the tap or filtered water. Place agar-agar jelly with water in a pot and bring to a boil until the two are mixed well. Add chocolate milk, Milo, condensed milk, sugar, and vanilla essence. Bring the mixture to a boil. Once all the ingredients have been mixed well and sugar has melted, remove the pot from heat and allow to cool. Once the mixture has cooled a little, pour them into the moulds, and then refrigerate for at least 2 hours before serving. Tip: To remove jelly from the moulds easily, run the bottom of the moulds through warm water first before removing the jelly.